Hittites research papers examine the ancient people from central Anatolia who established a significant empire around 1600 BCE. 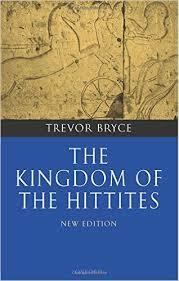 Research papers on the Hittites can focus on any aspect of this indigenous society that you need. If you need the Hittites anthropological information or a review of the geographical boundaries of the Hittites or the religious significance of the Hittites, Paper Masters can custom write you a research paper on the people or the Empire of this ancient society. The Hittites are mentioned several times in the Hebrew Old Testament, but it remains debatable if those described in the Bible are the same as the Hittite Empire. The Hittite people migrated into Anatolia before 2000 BCE. Sometime around 1595 BCE, the Hittite ruler Mursili I conquered Babylon, but quickly withdrew back into Asia Minor. By 1500 BCE, the Old Kingdom period had ended, and the history of the Hittites during the Middle Kingdom remains somewhat lost, as most of this period was marked by internal conflict and constant external attack. Under the reign of Tudhalyia I, the Hittite Empire reemerged, and the kingdom stretched eastward into southern Anatolia, as opposed to westward towards the Greeks. The Hittites quickly rose to prominence as one of three major empires in the period, alongside Egypt and the Assyrians. The widow of Egyptian Pharaoh Tutankhamen (King Tut) sought an alliance through marriage with the Hittite king. Conflict with the Egyptians came to a head when Pharaoh Ramses II defeated the Hittites at the Battle of Kadesh in 1274 BCE. Following this defeat, the Hittite Empire went into a long decline as a regional power. Peace Treaty of Kadesh between Ramses II and Hattusili III were found on walls of the Karnak Temple in Amon Egypt and engraved upon clay. Peace Treaty of Kadesh - Peace Treaty of Kadesh between Ramses II and Hattusili III were found on walls of the Karnak Temple in Amon Egypt and engraved upon clay. Nefertiti - Nefertiti is one of the most well known queens of Egypt, famed throughout the ancient world for her beauty. Pharaohs of Ancient Egypt research papers discuss the influence the Pharaohs had on the society of Ancient Egypt. Kings - The Book of Kings was originally constructed as a single book but over time was divided into Book I and Book 2, continuing the history of Israel and their kings, and telling of the sins and retribution of the people of Israel. Persian Wars - Persian Wars research papers explore the battles between the Greeks and Persians during the fifth century. Ancient Egypt Government research papers discuss the control the Pharaohs had in the government of Ancient Egypt. Paper Masters writes custom research papers on Hittites and examine the ancient people from central Anatolia who established a significant empire around 1600 BCE.